ID_2 has been taking the imaging world by storm. The massive, ground breaking and shaking radio imaging FX package is currently heard across three continents including on Bauer's Place Network across the UK, The Hits Network in New Zealand, on 107 The Peak in Canada, Hit 889 in Athens and many more. And now the biggest and best sounds in contemporary radio imaging are available to buy direct and download to take your production to the next level. 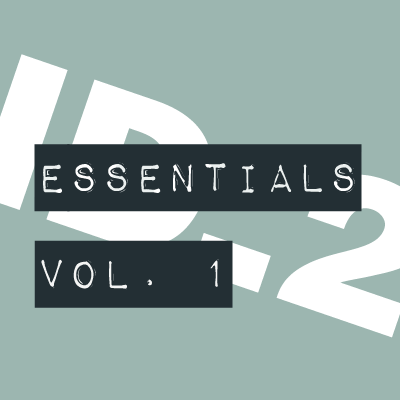 We've taken a sledge hammer to the huge ID_2 TOTAL library and smashed it into distinct packages, creating the new Essentials Series. Giving you easy access to our next generation sounds. ID_2 Essentials Vol. 1 is 150 pure and unadulterated killer cuts straight from ID_2 TOTAL, now available as a buyout. Including 120 powerful and shimmering FX cuts and a choice selection of our legendary impacts and slammed beats and grooves. ID_2 Essentials Vol. 1 is available now to purchase and download in high quality 24 bit WAV. Just get in touch with us with your details we'll get straight back to you with a price tailored to your station and usage.